Innovation is alive and well. 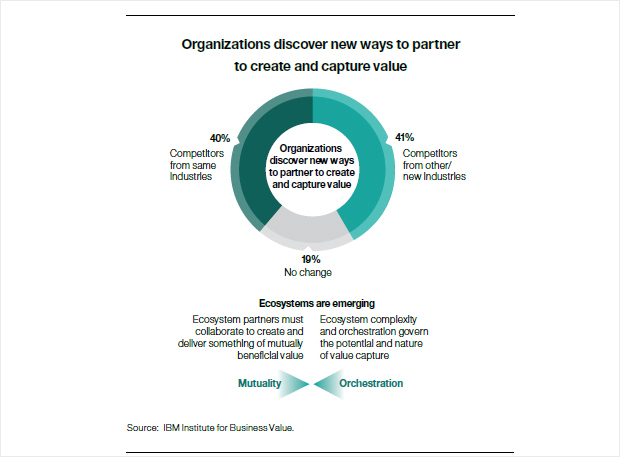 As documented in the 2013 IBM Institute for Business Value executive report, “Insatiable Innovation: From sporadic to systemic,” outperforming organizations combine product, operational and business model innovation to thrive in a challenging and complex environment. Organizational structures and functions that support innovation – The most successful organizations align innovation activities directly with business objectives, pursue “open “innovation structures and create specialized innovation teams. Cultural environments to make innovation thrive – The most successful organizations maintain a clear focus on innovation across all business activities, encouraging innovative behaviors and finding ways to sustain innovation momentum. Processes to convert ideas into innovation – The most successful organizations source new ideas from diverse locations, often leveraging big data and analytics; innovation is funded separately and measured rigorously. The new executive report created from the analysis of study responses identifies and documents clear steps for all organizations to adopt those elements of innovation strategy that differentiate outperformers from others. With erratic international markets and equivocal domestic growth, Japanese businesses once again face challenges – but new business ecosystems are emerging.